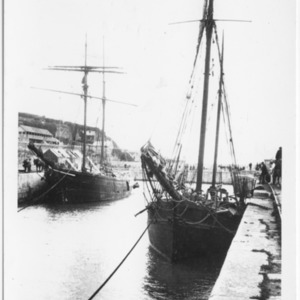 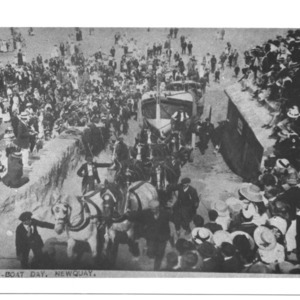 The vessel on the right is "Emma" of Bridgwater. 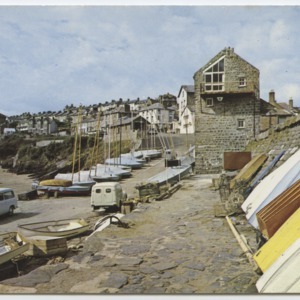 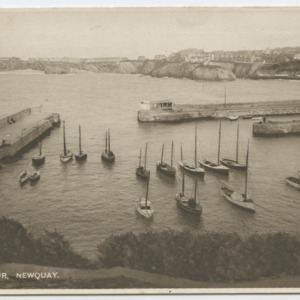 The ship in the centre is "Hetty" built by Cornish shipwright John Stephens of Devoran in 1878. 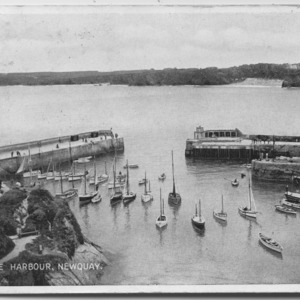 She was decommissioned in 1938. 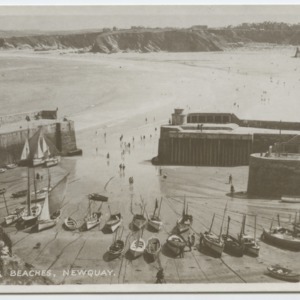 P L 281. 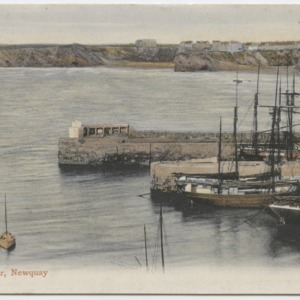 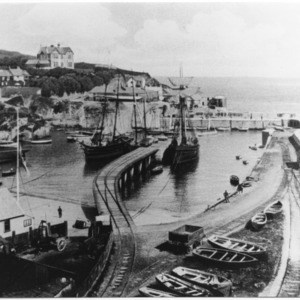 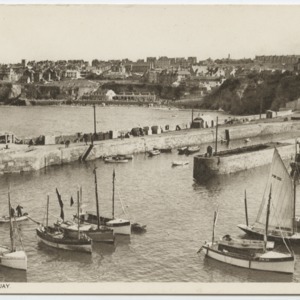 Newlyn Harbour with railway sidings and ships. 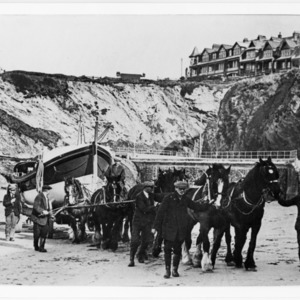 Newquay lifeboat being hauled on Lifeboat Day. 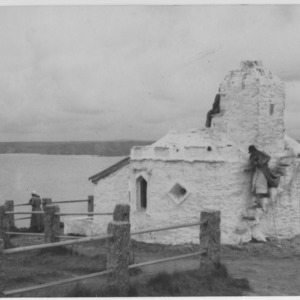 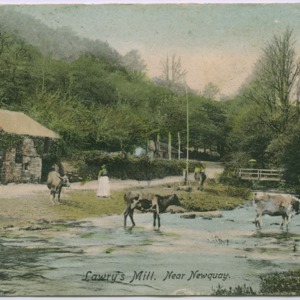 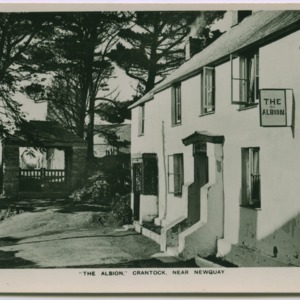 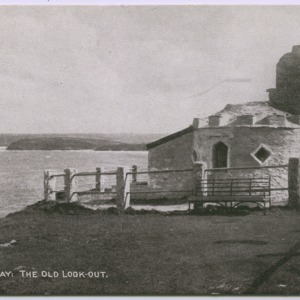 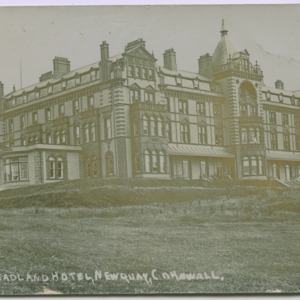 Overview, location unknown, but would have been along the River Gannel. 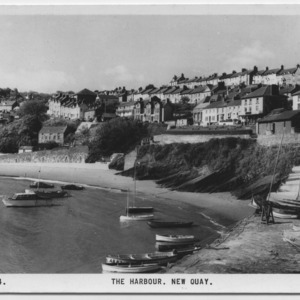 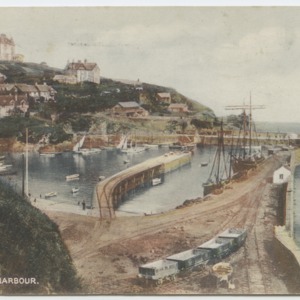 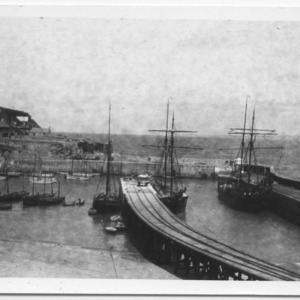 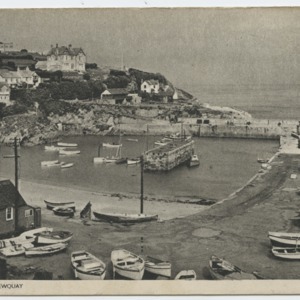 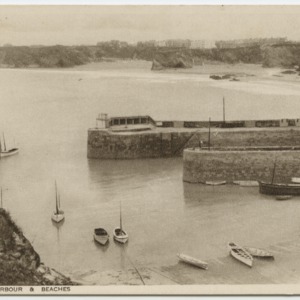 Harbour and village with the central Railway Pier.